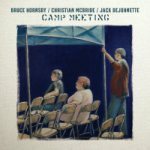 While the music world has plenty of explorers, Bruce Hornsby is still one of its most restless Marco Polos. Where he's often made a habit of bouncing from one thing to another for a whole album at a timesolo contemporary piano, yee-haw bluegrass, piano-less folk, jazz trio, film score and stage musicalhe's in full, glorious, kitchen-sink mode this time around. Don't read too much into the title. Absolute Zero gleefully zips all over the style map with the exact opposite of frozen inertia. The opening title track has a chilly keyboard sheen to fit the concept of the phrase, but it's immediately blended with subtly warm lyrics and sharp-cooking rhythms from Jack DeJohnette. 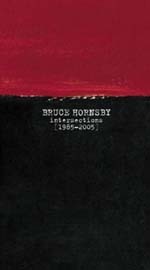 Hornsby similarly expands his sonic sandbox with more juxtapositions and production touches as wide-ranging as the songs, from classy chamber strings to lushly processed emo haze, Steve Reichian mathematical patterns crossed with danceable electronics, or funky art/soul by way of Sun Ra. By the time the crew starts twanging with what sounds like scrapyard debris in the late stretch, it's barely even a blip on the experimental-meter. Meanwhile, underlying it all is some of the most beautiful and (sometimes) straightforward songcraft of his career. Take away the weird found-sound dressing and "Echolocation" could just as easily stand on its own as a fun country-folk piece. Bon Iver's golden- voiced Justin Vernon helps create a wistful dreamscape for the bittersweet "Cast Off" over a bed of what they call "miserablist polyrhythms," while "Blinding Light of Dreams" makes angular bi-tonality sound catchier than it really has any right to be. The arguable highlight of it all is the centerpiece "Never in This House," an Americana-tinged story piece striking in its heartfelt simplicity. It's a small miracle that the songwriting makes it all fit together as one big picturesomehow, after such a relentlessly well- traveled career, such a wild mishmosh of tones is all in an hour's (or 42 minutes') work. That trademark piano/synth work is a key part of the mix, though light on the flashy improvisations hereinstead it's a well-placed part of the picture that keeps the sheer joy of exploration always at the center. 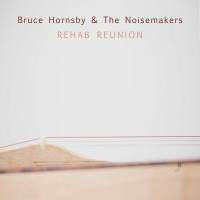 There are moments of aching honesty, eye-opening surprise, and a couple joyous anthems as effervescent as anything Hornsby's ever done. With a scope that keeps making room for more things all the time, his recognizable sound is still one of a kind and more full of life than ever. 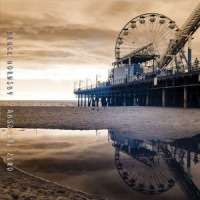 Track Listing: Absolute Zero; Fractals; Cast Off; Meds; Never in This House; Voyager One; Echolocation; The Blinding Light of Dreams; White Noise; Take You There (Misty). 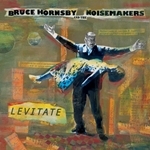 Personnel: Bruce Hornsby: piano, vocals; J.T. Thomas: keyboards; Gibb Droll: guitar; J.V. Collier: bass; Sonny Emory: drums; Justin Vernon: vocals; Jeremy Ylvisaker: guitar; Mike Lewis: saxophone; JT Bates: drums; Brad Cook: bass; J.V. Collier: bass; Blake Mills: guitar; CJ Camerieri: trumpet; Alex Sopp: flute; Hideaki Aomori: clarinet; Rob Moose: violin; John Mailander: violin; Nadia Sirota: viola; Gabriel Cabezas: cello; Sean "S." Carey: vocals; Jack DeJohnette: drums.